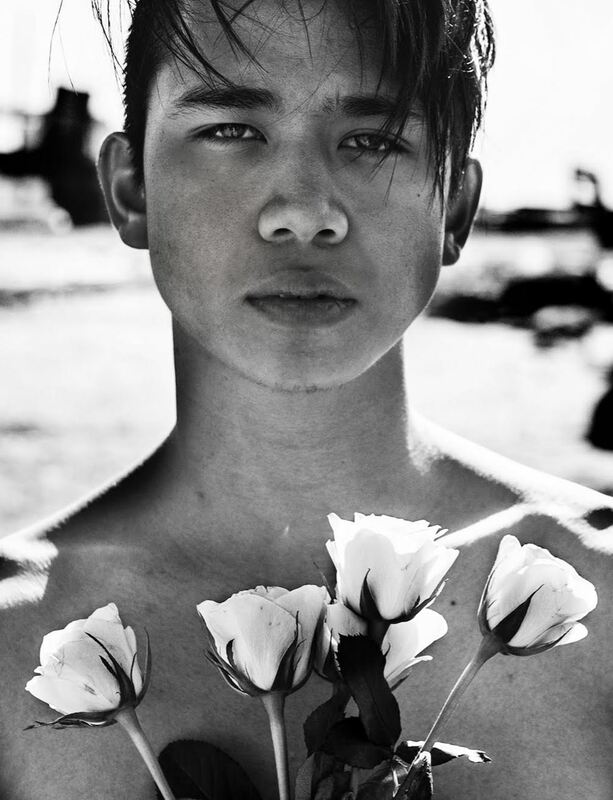 Our May member of the month is the inspiring and worldly Alvin Collantes. Alvin Collantes is a contemporary dance artist and photographer based in Toronto, Canada. While obtaining his Bachelor's Degree in Finance at Western University, he studied contemporary dance under the technical direction of The School of Toronto Dance Theatre. In 2013, he collaborated with Hayley Paone and artistically produced a Toronto Fringe Festival production entitled, "DABDA," which received sold-out performances and reviews from XTRA and Mooney On Theatre. He was blessed to be a part of David Norsworthy & Kristen Carcone's TOES FOR DANCE for their inaugural fall tour production working alongside MADBOOTS Dance Company, Colleen Snell, Garth Johnson and Lea Ved. In 2013, he founded “Short Dances”, a monthly presentation of solo works geared towards local emerging and professional artists from all walks of life. Alvin has been a guest performer in numerous events including International Dance Day, Guelph Contemporary Dance Festival, Toronto's Original Choreographer's Ball, Scotiabank's Nuit Blanche Festival. Alvin continues to research his artistic perspective through taking company classes with LeeSaar Dance Company, Gallim Dance and Batsheva Dance Company. Alvin has been a guest teacher in the past five years teaching to thousands of students in over 50+ dance studios across Canada. He is a resident faculty member of FRESH Dance Intensive, The Dance Project and Inhayle Dance Company. He recently participated in the last two Gaga intensives and “Hasadna,” a reportoire-based program in Tel Aviv under the direction of Yaara Moses. I was born in New Jersey, USA. I grew up in the Philippines and moved to Canada when I was 14. Q: Where did you train? and what dance genres do you practice? I first started taking recreational ballet classes in London, ON while attending Western University. In the middle of my undergraduate, I briefly attended The School of Toronto Dance Theatre’s Professional Training Program. While finishing my Bachelor’s Degree, I studied dance independently and started my freelance career. Q: Growing from emerging to professional artist you’ve done a large and varied amount of work, when did you feel you were officially a professional artist? During my independent studies, I was very open to tasting different forms of dances and learning them through different mediums. Not only was I cultivating my knowledge in dance by training my physicality, I was also learning through attending and photographing dance performances in Toronto. Some of this included performing in festivals such as Nuit Blanche, dancing in corporate events and music videos, participating in dance battles/cyphers, hosting improvisational jams, co-producing and co-directing a Toronto fringe show and many more. These unique experiences have well shaped my understanding of Toronto dance and the different aspects of being a freelance artist. Q: As a professional dance artist where has your career taken you besides Toronto? Since graduating, I have been freelancing in Toronto, working in the industry as a self-employed dance educator, photographer and producer. Over the course of diving myself into the industry, I have learned valuable skills on how to find your self-worth, create your own opportunities, discover various ways to acquire funding and develop meaningful relationships with colleagues, collaborators and clients. I feel that being a freelance artist has given me the flexibility to work not only in Toronto but also outside of Canada. I believe that getting outside of your comfort zone by taking your work to unfamiliar waters can really help you grow as an artist and a person. I find that through travelling, I am able to reinvent myself and gain multiple perspectives on how my work is being translated to an audience. What also helps me grow the most is learning stories of the different artists I have been fortunate to meet. Sharing their stories have given me inspiration and insight how artists live. Q: How did you get into GAGA? In 2014, I moved to New York to take on a job as a Flight Attendant. In the two years I lived in New York, I was able to travel the world, connect with artists from all walks of life and watch performances all while freelancing in Toronto. I saw Batsheva Dance Company perform ‘Sadeh21’ in New York as part of the Brooklyn Academy of Music season programme. I started taking gaga classes in 2012 and have known of Batsheva Dance Company from friends. Seeing them in New York has given me the motivation to travel to Tel Aviv and discover gaga in its authentic roots. In 2015, I started travelling to Israel on numerous occasions, participating in the summer and winter courses, auditioning for the young ensemble and taking gaga people classes. Every chance I get, I would take a flight to Israel and stay there for as long as I could. I fell in love with Tel Aviv, the city, the people and the dance community. I believe in that year I visited about three/four times throughout the year. In 2016, I quit my job as a Flight Attendant to spend three months in Israel. In these three months, I have learned a lot about myself through gaga, discovering my strengths and weaknesses are in life and the scope of capabilities I innately possess. I joined CADA-ON simply because I want to be a part of a support system, connecting with freelance dance artists like myself in Toronto. I feel that freelancing can be a lonely road and it some parts of my career, I thought to myself how beneficial it would have been to be able to talk to someone or a source of support where I can voice the various obstacles I have encountered. Whether it is a logistic issue, business-related topic or an artistic critic, CADA-ON organization is a resourceful tool to provide you different perspectives and solutions on how to approach an issue you might be encountering. When we look at social media, we can paint the prettiest version of ourselves and the wonderful things we are doing in life. But underneath every painting, there is process. And not everything is as good as it may seem. Don’t be afraid to revealing your weaknesses as much as your strengths. You would be surprised how similar we (artists) all are.